I recently published a fairly lengthy, (some might say boring! ), blog post all about the Statutory Residence Test (the SRT), and how Brits abroad like us need to work out our residency status, as it affects our potential liability for UK tax. There are times in most expats’ lives when we are seemingly neither a resident nor a non-resident, however – and this is where the split year treatment can come in to play. Because it can have an impact for you and any accompanying partner, and also come in to play if you acquire or give up a property in the UK, I thought it was important to cover in this second part of my UK residency rules mini-series. As before, I’ve divided it into titles and subtitles so hopefully you can navigate to the information pertinent to you without getting too lost in the complexities of it all. If you have concerns about your tax status you’re strongly advised to seek professional advice. And if you want to talk about tax in relation to your portfolio, savings, investments, property holdings etc., assuming your net worth is in excess of £500,000 please do get in touch and I’ll do all I can to help. SRT terms deem you’re either a UK resident or a non-UK resident for a full tax year and at all times in that tax year. There is an exception to this however, and it’s very relevant for expats. If, during a given year, you either leave or return to the UK the tax year may be split into two parts. 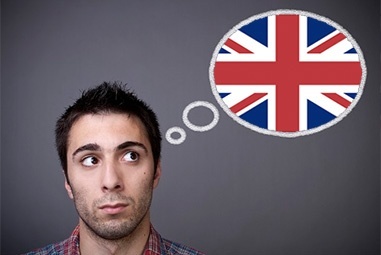 If you’re in the UK for part of a tax year, and you are liable for UK tax as a UK resident during that part and, if you’re overseas for part of the year for which, for most purposes, you are liable to UK tax as a non-UK resident, there’s specific guidance that you need to acquaint yourself with. HMRC call it" RDR1", and it’s all about residence, domicile and the remittance basis. 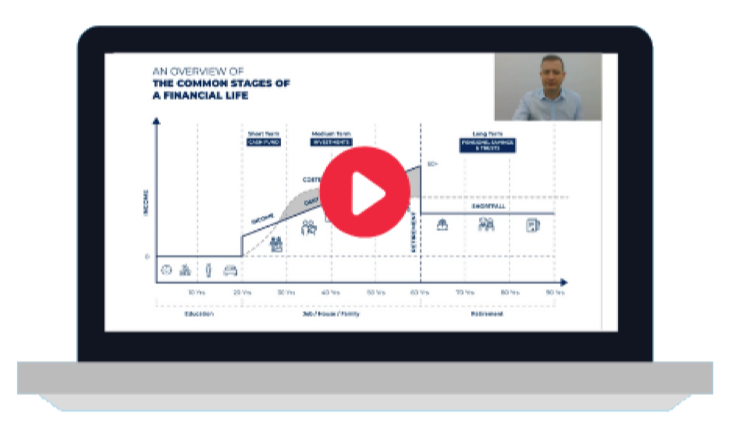 RDR1 is a guide to the way your sources of income are taxed so you can work out the impact that split year treatment will have on the tax you pay in the UK. When is a tax year split? 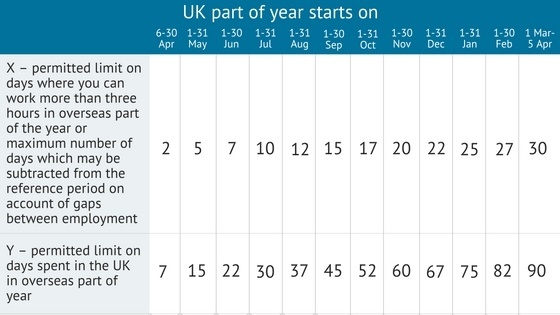 The most important thing to know is that for the split year treatment to apply, you have to be UK resident for the tax year in question, according to SRT rules. Also, split year treatment in this context applies to you as an individual; that is: it doesn’t apply to anyone acting as a personal representative. Note: split year treatment doesn’t have any effect on whether you’re considered to be a UK resident for the purposes of any double taxation agreements. There are eight ways the split year treatment might become applicable. HMRC call these “Cases”, and they are set out below. For some people, their situation means they may actually meet the criteria of more than one of the Cases. I look at this below after setting out the terms of each of the Cases. As an expat you may well meet the criteria for split year treatment for the tax year in which you go abroad and if you begin full-time work overseas. The overseas part of your tax year starts on the first day of the relevant period, as long as you meet the overseas work criteria for that period. If you’re a so-called “trailing spouse” (HMRC's unattractive term, not mine! – my wife and I prefer "accompanying partner"), you might receive split year treatment for the purposes of your tax too. But this happens only if your partner meets the conditions for Case 1 split year treatment for that particular year (or the previous year), and you move overseas so that you can continue to live with them while they are working overseas. move overseas so you can live together while your partner is working overseas and in the period beginning on your deemed departure day and ending on the last day of the tax year either have no home to live in in the UK or, if you have a home in the UK and overseas, spend the most time living in your overseas home. And you must spend no more than the permitted number of days in the UK. Who is considered to be a partner? A partner for the purposes of this case can be a husband or wife or civil partner, or someone you live with as your husband, wife or civil partner. What is your deemed departure day? Your deemed departure day is the latter of either the day you join your partner to live together overseas, or the day which is your partner’s first day of their overseas part of the year under Case 1. What is considered to be the overseas part of a tax year? Unsurprisingly the overseas part of the year is considered to be the part of the year that starts on your deemed departure day, and ends on the last day of the tax year. What is considered to be the UK part of a tax year? The UK part is the bit from the start of the tax year until the start of the overseas part. Note: if you separate from your partner after your deemed date of departure you will still be given split year treatment, provided you meet all the other conditions for Case 2. This is a Case that’s quite often of relevance to expats. Under Case 3 you might get split year treatment for a tax year if you leave the UK to live abroad and you no longer have a home back in the UK. have one or more homes in the UK at the start of the tax year, and then at some point in that year, cease to have any home in the UK for the rest of the tax year. have your only home, (or homes if you have more than one), in that country within six months. The overseas part starts on the day you no longer have a home in the UK until the end of the tax year. The UK part is the period from the start of the tax year until the start of the overseas part! You may be eligible for split year treatment for a tax year if you did not meet the only home test at the start of the tax year, but at some point during that same tax year that becomes no longer the case – that is: you acquire a home in the UK, and you then continue to meet the only home test until the end of the tax year. What is the only home test? If you have only one home and it’s in the UK or, if you have more than one home but all of them are in the UK, then you meet the terms of this test. What constitutes the overseas part of the tax year? This starts at the beginning of the tax year and ends the day before the earliest point at which you meet the only home test. What constitutes the UK part of the tax year? The UK part of the tax year is the period from the end of the overseas part until the end of the tax year. It’s possible you will receive split year tax treatment if you start to work full-time in the UK, and you meet the third automatic UK test over a period of 365 days. If there is more than one such period then the UK part of the year will run from the beginning of the first period. not meet the sufficient ties tests that we looked at in part one of this mini-series for the part of the tax year before when you first meet the third automatic UK test. And when you are considering whether you have sufficient UK ties in this part of the year, you need to reduce the day count limits in the sufficient UK ties tables from my other part of this taxing blog, as shown in Table 2 above. This starts at the beginning of the tax year and ends at the point you first meet the third automatic UK test by working full-time in the UK. The UK part is from the end of the overseas part until the end of the tax year. This is again a very relevant Case for some expats. If you were non-UK resident in the previous tax year because you worked full time abroad but you stop working full-time abroad in the tax year to which split year treatment applies you may be eligible for split year treatment. satisfy the overseas work criteria for a relevant period. ends with a day in that tax year on which you do more than three hours work abroad. the maximum number of days you can subtract from the reference period for gaps between employments is reduced from 30 days to the permitted limit of days that can be subtracted for gaps between employments. 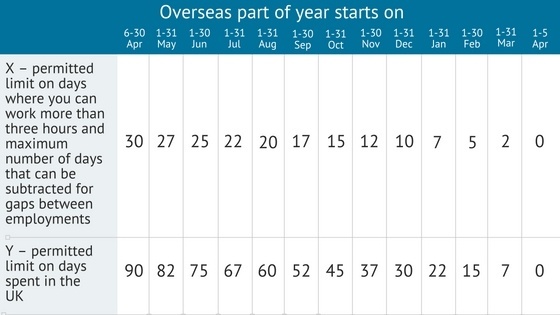 What is the overseas part of the tax year? What is the UK part of the tax year? This runs from the end of the overseas part until the end of the tax year. If you’ve been living abroad with your partner while they were in full-time work and your partner stops working abroad and either returns or relocates to the UK and you accompany them, you may qualify for Case 7 split year treatment. have a partner whose circumstances fall within the criteria for Case 6 split year treatment (see above), either in the tax year in question or in the previous tax year. Also you must move to the UK so you can continue to live with your partner and then be resident in the UK in the following tax year. Also, in the part of the year prior to your deemed arrival day in the UK, either you had no home in the UK at any time or, if you did have a home in the UK and abroad you spent the majority of your time living in your home abroad. You must not have exceeded the permitted limit of days spent in the UK in the overseas part of the tax year before the UK part of the year began. What is deemed arrival day? the date you move to the UK so you can live with your partner. What’s the overseas part of the tax year? This is the period from the beginning of the tax year until your deemed arrival day. What’s the UK part of the tax year? This is the part that starts on your deemed arrival day and finishes at the end of the tax year. If you have no home in the UK, but then at some point during a tax year you start to have a home in the UK, you may be eligible for split year treatment under Case 8.
then continue to have a UK home for the rest of the tax year and all of the following tax year as well. You cannot have sufficient UK ties to make you UK resident in the period from the start of the tax year to the point at which you acquire your UK home. When you are considering whether you have sufficient UK ties in this part of the year, you should reduce the day count limits in the sufficient UK ties tables by substituting the values from Table 2 above. This starts on the date you acquire a home in the UK and continues until the end of the tax year. This starts at the beginning of the tax year and ends when the UK part starts. In this context, what is the split year date? In relation to split year Cases 4 to 8, the split year date means the final day of the overseas part of the year for that particular Case. So far in this article, I've been talking about those who move abroad for fairly long periods. However, some expats relocate overseas for quite brief periods. If this sounds like you, or if you're abroad for less than five tax years, the following sections may apply to you. If you move abroad for a short period and are temporarily non-resident for tax, then you return to Britain, you may be charged tax on certain income and gains that you either received or remitted to the UK in your period of temporary non-residence. This is really important to consider if you’re an expat currently, have been for a short period, and are thinking of returning to Britain. your period of non-residence is a period of five years or less. For these special tax rules not to apply, you have to have been non-resident for over five years – that is: for a minimum of five years and a day. What constitutes a residence period? the UK part of a split year. What does sole or exclusive UK residence mean? Which leads to the question – what is Treaty non-residence? You are considered a Treaty non-resident if you are a resident in any country other than the UK for the purposes of a double taxation agreement having effect at the time. And you are Treaty resident in the UK if you’re regarded as resident in the UK for the purposes of double taxation arrangements having effect at the time. Your period of temporary non-residence starts from the day after your last residence period when you were considered solely resident in the UK, (HMRC refer to this as Period A) or, if split year treatment applies in your case, the date following that on which the last residence period for which you had sole UK residence ends. Your period of temporary non-residence ends on the day before the date of the start of the next residence period when you’re considered as having sole UK residence. Your year of departure will be the tax year when you were last solely resident in the UK. Or, if split year treatment applies, then this will be the date following the day when your last residence period when you had sole UK residence ends. New temporary non-residence rules only apply if your year of departure is 2013 to 2014 or later. Your year of departure may fall earlier than the year in which you physically leave the UK because of how the tax year runs in the UK. In terms of what HMRC mean by your period of return, this is the first residence period after period A (see above) for which you have sole UK residence. How are you taxed when you move back to the UK after a period of temporary non-residence? If you haven’t yet had your brain fried and you’re following me so far, and you think you fall within the scope of the temporary non-residence rules, then you will become liable to tax in the year, or part of the year in the case of a split year, of your return to the UK on certain parts of your income and gains accruing, arising, or remitted to the UK during the periods when you were temporarily non-resident. Note: you’re likely to be treated for tax purposes as if the income or gains arose in the period that you returned to the UK. The rules relating to residency status should not be open for interpretation, but if you’ve read all of the above and my previous blog about the SRT, you’ll see how confusing and conflicting they can appear. The main thing to remember is never assume you’re not liable – because when it comes to tax the onus is on you to declare and pay. If you fail to do so, you’re guilty of tax avoidance whether that was a deliberate intention or not! Speak to an accountant for clarification if you need it. And as stated at the beginning of this article, if you’d like to discuss tax with me in relation to your portfolio and holdings and you’re net worth is in excess of £500,000, please get in touch because this is one of my particular areas of interest and expertise. Alternatively, leave a comment below.